Today I’m going to follow up my series on colonial farms with a look at what kinds of livestock you’d have found on early American farms. Back then few people cared about breeds, and few formal breeds had been established. To farm families a cow was a cow, a pig was a pig, and a chicken was a chicken. They needed animals for food and labor, so naturally they favored animals that were the most productive and best adapted to their area whatever the breed. 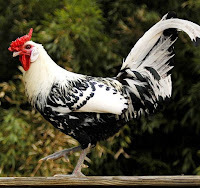 Poultry was as important to cooking in the 18th century as today. Chickens, ducks, and geese were not only a source of meat and eggs, however, but also helped to keep the bug population under control in colonial gardens. The following are several early breeds you would have found down on the farm. Dominique Chickens. One of the first breeds of chickens developed in the United States. Black and white, they are small to medium in size and very hardy as their heavy plumage protects them in freezing temperatures. They were developed during 1700s in Massachusetts from English breeds introduced by European who settled in New England. Dorking Chickens. 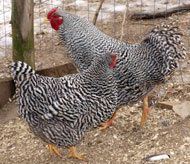 This silver or dark poultry breed has five toes. They are large and broad-breasted, well suited to the outdoors due to their ability to forage for their food. Hamburg Chickens. These small chickens are known for their slender legs, neat combs, symmetrical form, and for producing large quantities of eggs. Thought to have originated in Holland before the 14th century, they come in a variety of colors. Colonial Williamsburg breeds the silver spangled variety. Spanish Black Turkey. These completely black fowl descended from Mexican turkeys domesticated by the Aztecs, which were brought back to Spain by Spanish explorers in the 1500s. They spread to England and from there were brought back to North America by settlers in the 18th century. Crossed with North American wild turkeys, they produced breeds such as the Bronze. Bronze Turkeys. This is the turkey that comes to mind when we think about the Pilgrims and the first Thanksgiving. Remember all those pictures you colored in elementary school during the fall? That’s the one. This breed was developed in the 18th century, though they weren’t called by that name until the 1830s. 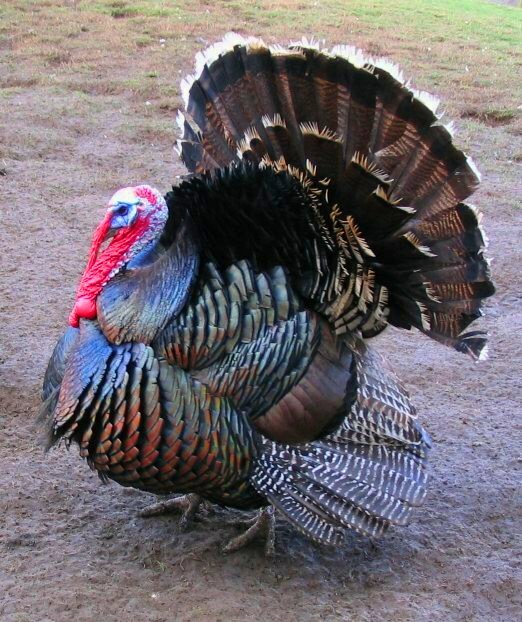 Descendents of the Spanish Black Turkeys were brought from England to the colonies, where they were crossed with wild North American turkeys to produce a bird that was larger and stronger than the European turkey. The horses that transported riders; pulled carriages, carts, and plows; and treaded wheat from the stalks in colonial times were mostly noted in records simply as plow or carriage horses. 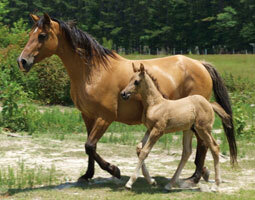 However, George Washington inventoried Arabian and Andalusian horses in his herd, along with Chincoteague ponies. Andalusian. The Andalusian horse is descended from the Iberian horses of Spain and Portugal, and derives its name from Andalusia, where it originated. 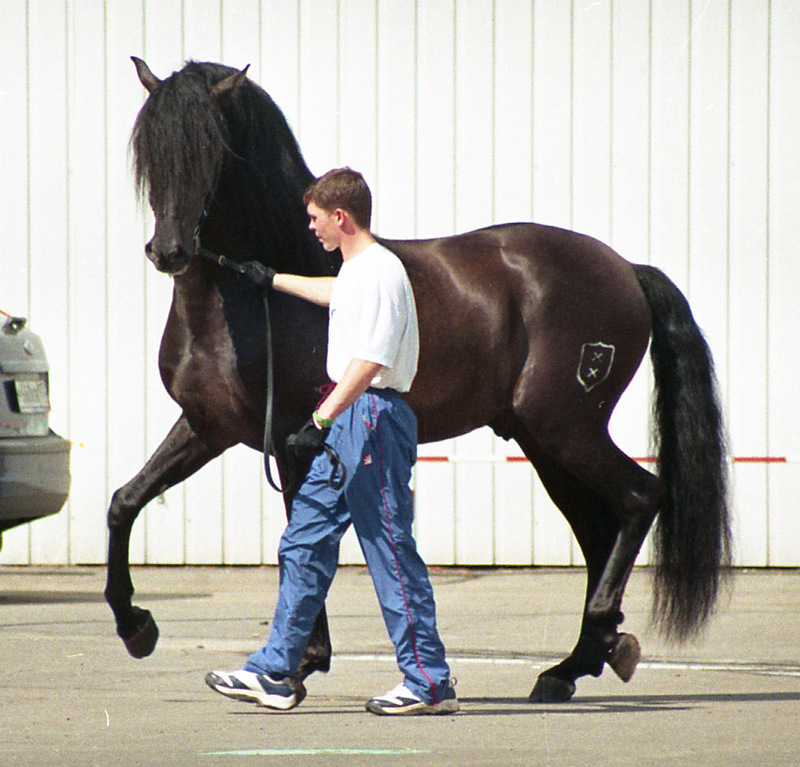 The breed was considered the “first place for its perfection, because it is the most beautiful, noble, graceful and courageous.” The breed peaked in popularity in Great Britain during the 17th century, but with the introduction of the thoroughbred, its popularity faded after the mid-18th century. Arabian. Arabian horses originated on the Arabian Peninsula and have a distinctive head shape and high tail carriage that we probably are all familiar with. These beautiful horses are one of the oldest breeds; archaeological remains of horses in the Middle East that resemble the modern breed date back 4,500 years. Chincoteague Pony. 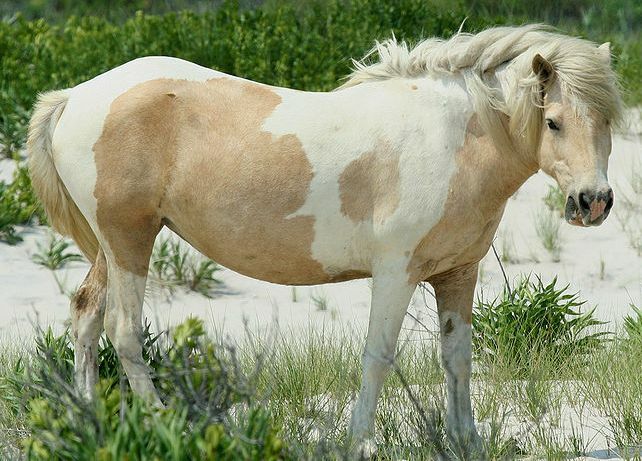 Also known as the Assateague horse, this is a breed of feral ponies that developed on Assateague Island off the coast of Virginia and Maryland. They can be any color, including pinto. Legend holds that their ancestors were survivors of wrecked Spanish galleons off the Virginia coast, but it is more likely that they descend from stock released on the island by 17th-century colonists. Belgian. This large draft horse, also known as Belgian Heavy Horse, Brabançon, or Brabant, originated in the Brabant region of modern Belgium. It was a favorite for pulling heavy loads. Marsh Tacky Horse. These sturdy horses are native to South Carolina and may have been left behind by Spanish explorers and settlers in the 1500s. During the American Revolution they were ridden by many of the troops of the famous—or infamous—“Swamp Fox” Francis Marion because they were well adapted to the rough and swampy terrain of the region. Because of their gentle nature and size they became a preferred mount for women and children, but their strength and fearlessness also made them popular for hunting and herding cattle. They are a direct descendent of the horses of the Golden Age of Spain, a type that is mostly extinct in Spain today and is critically rare today. Cows provided meat, milk, leather, and labor for colonial farm families. The following 2 breeds were widespread throughout the colonies. American Milking Red Devons. Descended from the British Red Devon breed native to Devonshire, England, these large, red cows with long horns were brought to New England by the Pilgrims in 1623. They were valued for their ability to provide labor, meat, and high butterfat milk ideal for making butter and cheese as well as for their ability to forage and thrive even on poor pasture. 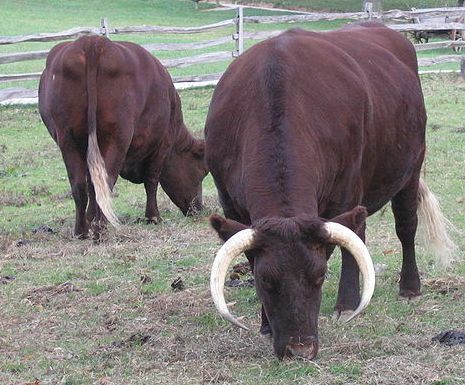 They are gentle, active, intelligent, and relatively strong for their size, which made them popular as oxen. Kerry Cows. Now a historic rare breed of dairy cattle, Kerries are native to Ireland and are probably the breed records of the early Plymouth Colony described simply as “black cows.” They are believed to be one of the oldest breeds in Europe. Their coat is almost entirely black, with a little white on the udder, and their horns are pale colored with dark tips. Spanish Goats. Beginning in the 1500s, Spanish explorers brought goats from Spain to the Caribbean Islands, and from there they spread across North America and Mexico. They are hardy and thrive on rough forage and in challenging environments. As a source of milk, meat and hides, they became an integral part of subsistence farming, especially since eating goat meat allowed cattle to be used as draft animals for crop production and transportation. Spanish goats were the only goats known across the southern United States and in most other parts of the Americas for more than 300 years. 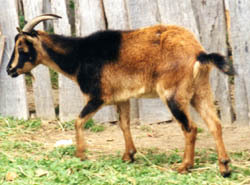 Spanish goats are usually horned and are found in a variety of different colors. Later immigrants from the British Isles brought with them the Old English Goat, Irish Primitive Goat, Old Irish Goat, Old Scottish Goat, and Old Welsh Goat. Ossabaw Island Hogs. 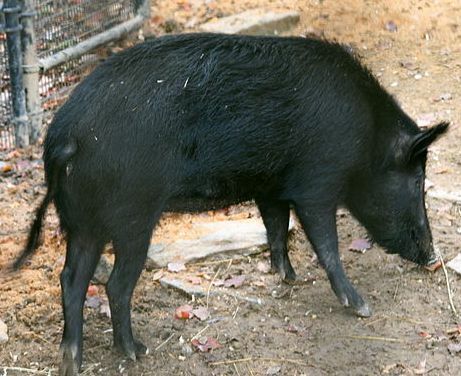 Hogs were valued by the colonists because they could be allowed to run wild and forage in the woods until the fall when they were caught, fattened, and slaughtered. Early explorers brought livestock to the Americas beginning in the 1500s, including pigs that escaped or were deliberately set free to forage. The Ossabaw Island Hog, a feral breed that has lived for centuries on Ossabaw Island off the coast of Georgia, is the closest genetic representative of these swine. They’re usually black, although some are black with white spots or light with black spots. Adult pigs are hairy, with heavy bristles around the head and neck. Leicester Longwool Sheep. The Leicester (pronounced leister) breed, known for its docility and the length and sheen of its wool, was introduced to North America from Britain before the Revolutionary War and remained popular into the 1800s. 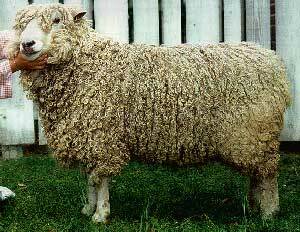 These sheep mature quickly and produce a soft, heavy fleece that falls in long ringlets. The wool is very desirable for spinning, weaving, and making felt and hair for dolls. They were used as a pioneer breed in America, Australia, New Zealand, and other British colonies, but today are quite rare in Britain and North America. 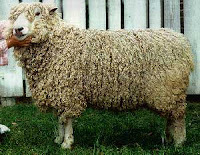 The Colonial Williamsburg Foundation reestablished this breed in the United States by importing sheep from Tasmania, but it remains globally rare. Having grown up on a farm, I’ve gone to a number of county fairs, and I always find myself drawn to the fancy chickens. For some reason I love the different breeds and colors. Believe me, if I owned any acreage, I’d have a flock! Do you like to go to county fairs and check out the livestock? Do you find yourself drawn to a particular type of animal? Have you ever had an unusual pet? Please share a bit about your animal preferences and experiences with us! J. M. Hochstetler is an author, editor, and publisher. The daughter of Mennonite farmers, she is a lifelong student of history. Northkill, Book 1 of the Northkill Amish Series, won Foreword Magazine’s 2014 Indy Book of the Year Bronze Award for historical fiction. Book 2, The Return, released in April. Her American Patriot Series is the only comprehensive historical fiction series on the American Revolution. One Holy Night, a contemporary retelling of the Christmas story, was the Christian Small Publishers 2009 Book of the Year. I enjoyed this post, especially the part about the horses. Arabians and Andalusians are beautiful breeds. I love those breeds too, Vickie. They're so graceful and beautiful! I read The Black Stallion as a kid and ever since then I've always wanted one. lol! Very interesting read, Joan! I sure had no idea that there were that many different animals used back in the 18th Century. We haven't been to the county fair in several years. There was very little there. In fact, we very disappointed in it and decided we wouldn't spend the money to go again. These are just a small part of the different kinds, Bev, but I ran out of room. lol!! Many of the farm animals common back then are either extinct or endangered today, or were cross-bred with other breeds to create new ones. Organizations like The Colonial Williamsburg Foundation are preserving some of the endangered ones and enlarging their numbers, bless them! Great information! My friend has chickens. Thanks! Hi, Paula! My daughter has chickens too. A lot of towns actually allow them. Glad you stopped by! I enjoyed this post. I've attended different county fairs growing up with 4-H projects and visting with the variety of animals and their owners. I like the rabbits and chickens with all the variety. I grew up on a farm with chickens, rabbits, a pony and milk cow along with pigs and lambs at times. The animals provided meat and of course milk that was turned into dairy products for our family. Thank yo for sharing. For over 30 years, my husband and I were dairy farmers. Most of our cows were Holstein but we sometimes added a Jersey or two because they produced milk that was higher in butterfat and that helped our milk test and thus, our paycheck. After we quit milking we had beef cattle and through the course of our years on the farm we had chickens and a horse. Thanks for sharing! Fun! My dad was an aspiring farmer so I got experience with lots of animals throughout my childhood and teen years. One of my fondest memories is waking up too early on a winter morning to the sound of a bleating lamb that Dad had had to bring into the house. We had a few bottle babies over the years. I also got to experience chickens (yuck, there were two hundred of the things), a stubborn pony and cows. In his later years, my dad collected various kinds of fowl and would show them at fairs. He had guineas, peacocks, turkeys, all kinds of chickens, and some doves and pigeons.